Hector A. Marin, of New Britain, loving husband of Luz (Ruiz) Marin, passed away at the Hospital of Central Connecticut on Oct. 23, 2018, surrounded by his loving family. Born in Gurabo, Puerto Rico, he was the son of the late Avelino Marin and Sabrina Montanez. Hector was a semi-pro baseball player in Puerto Rico prior to moving to Connecticut, where he lived for over 30 years. He coached and mentored several young aspiring players throughout the years. Hector was a lifelong fan of his beloved Boston Red Sox. 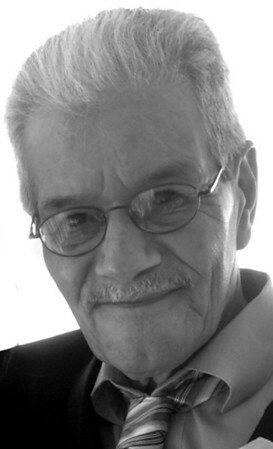 In addition to his wife, Luz, Hector is survived by his daughter and son-in-law, Carmen and Mark DePinto of Berlin; five grandchildren, Hector and Alex Morales of New Britain, Cristal Vazquez of Bristol, Ashley Amaro of New Britain, and Christine Amaro of Berlin, four great-grandchildren, and several brothers in Puerto Rico. He was predeceased by his daughter, Luz Marin. Friends and family are invited to call at Porter’s Funeral Home, 111 Chamberlain Highway, Kensington, on Friday, Oct. 26, 2018, from 5-8 p.m.
Posted in New Britain Herald, on Wednesday, 24 October 2018 21:01. Updated: Wednesday, 24 October 2018 21:04.